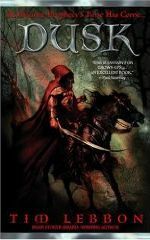 Winner of the 2007 British Fantasy Award for Best Novel, Dusk is set in the fading world of Noreela, where magic has withdrawn and nature itself is winding down. Machines lay dead and rotting across the landscape, crops fail, and the people of Noreela are mostly apathetic and accepting of their lot. But then the spark of magic appears again in a young farm boy, and he becomes the centre of attention for people – and things – that desperately want this new magic for themselves. How come no UK kindle version? Please please get this and “Dawn” into an audiobook Tim!!! this is one of my favorite books of all time! Thanks! I’ll see what I can do.